From financials and supply chain management, to manufacturing and operations, our quick-to-implement, easy-to-use global ERP solution has the power to support your growth ambition. Deploy in the cloud or on your servers—the choice is yours. Microsoft Dynamics™ NAV is one of the best selling mid-market ERP product in the world. There are over 120,000 companies and over 1,000,000 users relying on NAV solutions every day. Microsoft Dynamics 365 Business Central is an all-in-one business management solution that’s easy to use and adapt, helping you connect your business and make smarter decisions. 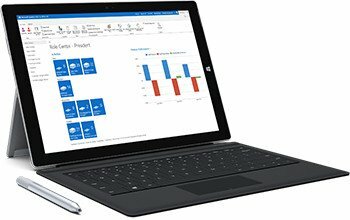 Built on functionality within Microsoft Dynamics NAV and adaptable to extend business applications to other Microsoft Cloud Services such as Office 365, Microsoft Flow, Power BI and PowerApps; Microsoft Dynamics 365 Business Central Solution can grow as your business requirements change while taking advantage of the the latest technology. (formerly AccellosOne WMS) achieves a high level of ROI through order accuracy, on time shipping, minimizing inventory carry costs, and decreasing labor costs. We are a leading provider of Accellos warehouse management software systems. We use a best of breed approach to warehouse management and will integrate to your existing ERP / Accounting system. Your business runs on Microsoft Dynamics NAV. While Dynamics NAV is known for its robust financial management and inventory control capabilities, many organizations seek additional supply chain execution and trading partner integration functionality. In response to this demand, HighJump has developed HighJump Warehouse Edge (formerly AccellosOne) Warehouse Management System specifically designed to seamlessly integrate with Microsoft Dynamics NAV. We specialize in Server Virtualization, security, wireless networks as well as open source VOIP Phone systems.